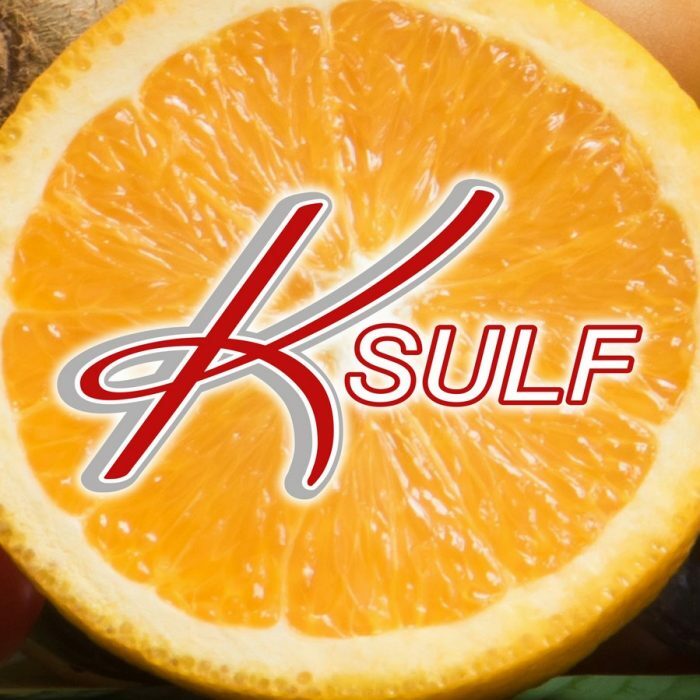 K SULF is a liquid fertilizer with high potassium, sulfur and phosphite concentration. • Reduce nitrogen volatilization and leaching: thanks thiosulfate anion. • Moderate inhibitor effect on nitrification and urease. • Increase phosphates roots uptake: tanks acidifying and reducing action. • Thanks the sulfur presence has pH corrective action and reduce soil salinity. • Protect trace elements such as iron and manganese from insolubilization phenomena for reducing chlorosis and micro deficiencies.